PROH2O Hydration Backpack is for every runner, cyclist, hiker, climber - anyone who participates in endurance events and requires access to hydrating fluids and doesn't want to carry around big bulky water bottles. Most other hydration back packs are cumbersome, leak, and are hard to drink from. But that's not the end of your problems with providing easy access to water and other liquids during events. What makes this even worse is the fact that participants in endurance sporting events require ease of access to fluids and do not want to be hampered in their performance! Which means inability to access water / liquids can undermine performance and in extreme cases put your health at risk. And, worst of all, many runners, cyclists, hikers, climbers, hunters can't get past the idea that all hydration backpacks are created equally, all either leak or are cumbersome. All this can make trying to ease the transportation of consumable liquids during sporting events a nightmare! But luckily for you, there's now a solution - the PROH2O Hydration Backpack! 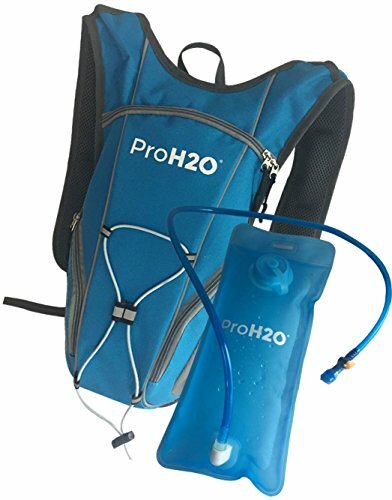 So, if you're a runner, cyclist, hiker, climber - anyone who participates in endurance events and requires access to hydrating fluids and who really wants access to hydrating liquids, without having to carry around big bulky water bottles, "PROH2O Hydration Backpack" is the answer you've been looking for! If you have any questions about this product by ProH2O, contact us by completing and submitting the form below. If you are looking for a specif part number, please include it with your message.